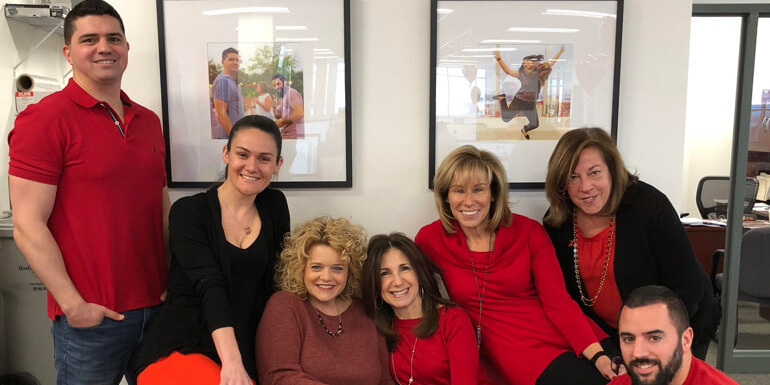 Austin Williams marked “National Wear Red Day” to raise awareness about cardiovascular disease in women by donning red and making a company donation to the American Heart Association in the names of each of its employees today. AW’s new offices at 80 Arkay Drive were decorated with red heart-shaped mylar balloons at the reception and studio desks, complementing the red office decor that is present every day. Heart disease and stroke cause 1 in 3 deaths among women each year, essentially killing approximately one woman every 80 seconds, according to the American Heart Association.